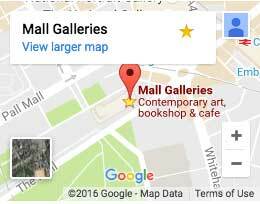 Liberty is responsible for promoting all aspects of the FBA and Mall Galleries, including the Call for Entries for the Federation's open exhibitions, events and workshops, as well as the Galleries' annual exhibitions programme. She designs many of the Member Societies’ and Mall Galleries' printed flyers, invitations, exhibition catalogues and also produces the bi-annual What’s On booklet. Liberty has been involved in Project Management for a number of FBA-organised exhibitions, such as FBA Futures, The Threadneedle Prize and Still Alive. Together with the Digital Manager, she maintains the Federation's presence on Social Media. Follow us on Facebook, Twitter and Instagram! She studied Sculpture at Camberwell College of Art and continues to make art and curate exhibitions at her own gallery.